Sometimes, catastrophe strikes when you least expect it. Maybe you suddenly become unemployed, and your bank account isn’t holding up. Maybe someone stole your debit card number and some of your money is gone. Whatever the reason, you couldn’t pay your mortgage on time. And, now, you’re late. If you’re a current student or recent graduate, making your student loan payments is a daunting prospect. Even if you have a job, that doesn’t mean you have the income to support what can be a sizable obligation. However, student loan deferment can help. It’s also possible for professionals to struggle with student loan debt. 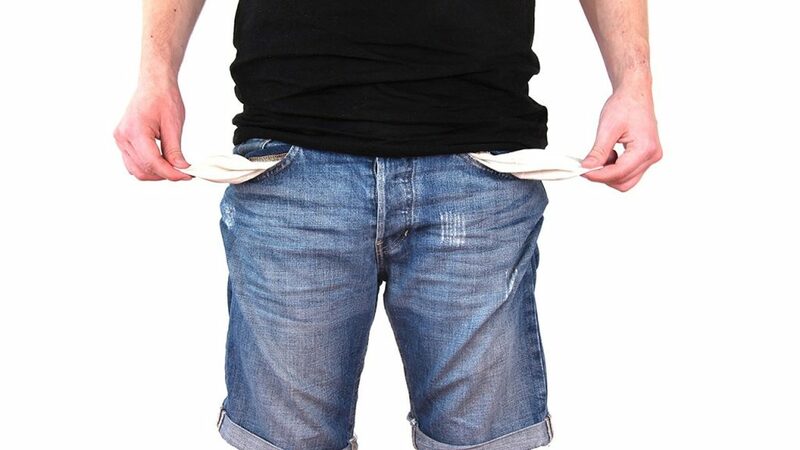 A surprise financial hardship can make it hard to keep up, and it often seems that you have very few options for help. 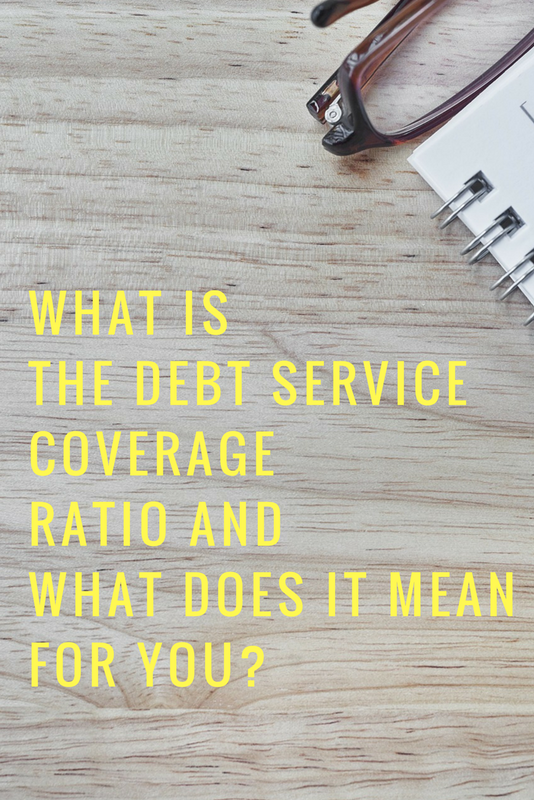 Maybe you’ve heard the term “debt service coverage ratio”, but do you know what it means? If not, you really should because there’s a chance it’s affecting your finances. Basically, it is your cash flow available to pay your current debt obligations. The ratio is your cash flow availability compared to your debt obligations that are due within one year including any interest, principal, and lease payments. In most cases, the term “debt service coverage ratio” applies to businesses and their ability to pay their lenders and cover their expenses. But it can be applied to individuals as well because it can have an impact on many areas of your finances. The higher your ratio (meaning high cash flow and low debt), the easier it will be for you to obtain a loan. And if your ratio is high, you can obtain that loan at a lower interest rate. 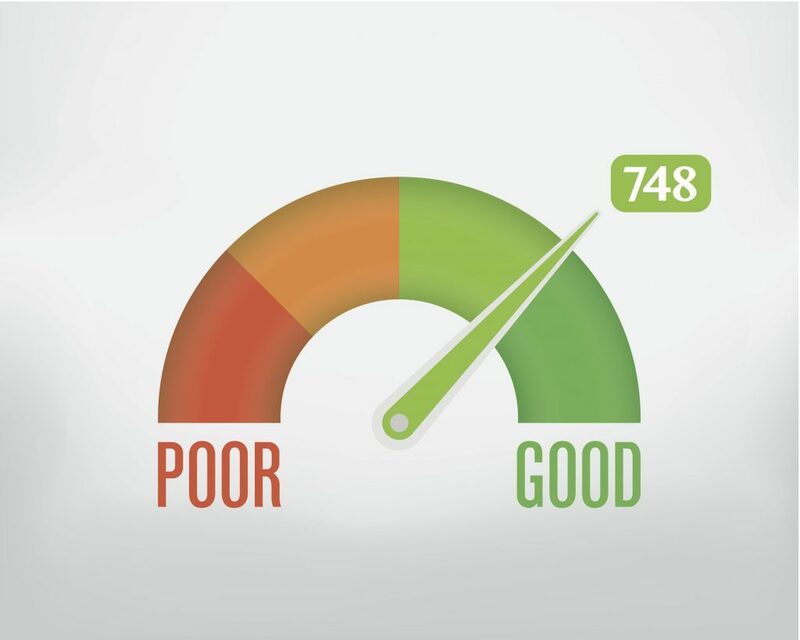 A high ratio can also have a positive impact on your credit score. An acceptable ratio may even be a term for acquiring a loan, both for personal reasons and for business purposes. And if it is, your loan can be in default if your ratio lowers beyond the required limit. Which means your loan could be called in full. Banks use your debt service coverage ratio to determine your qualifications for a loan so if you’re in the market for a personal loan, auto loan, or home loan, you’ll want to know your ratio. And if you’re trying to obtain a loan for business purposes, it’s almost guaranteed that your ratio will play into the outcome of your loan application. To calculate your ratio, you need to know your entire cash flow. This should include your salary, commissions, investment income, rental property income, and any other income you may receive. Add all of this up for a one year period then deduct your expenses. Be sure to include every expense that you will need to justify like loans, rent/mortgage, utilities, and any other expenses. If you’re looking for your ratio in regards to your business, you will need to look at your total income and deduct all operating expenses to acquire your ratio. To be in good standing, your ratio should be above 1. To put that in perspective, a ratio of .8 means you only have enough cash flow to cover 80% of your debt. For the purposes of a new loan application, that’s not suitable to a lender. The higher your ratio, anything over 1, puts you in good standing for a new loan. Anything above 1 means you are able to cover 100% of your debt with something left over. Ideally, lenders will look for a ratio of 1.2 or higher in order to have confidence that you can cover your loan. Knowing your debt service coverage ratio in advance of applying for new credit can put you in better standing for acquiring a lower interest rate and better loan terms. A debt management program, known as a “DMP” is a program in which individual debts are consolidated into one monthly payment that is distributed on your behalf to your creditors. Debt management programs are not a loan. DMPs are popular in that many enrollees receive a significant interest rate reduction for their participation in the program. Read through below to help determine if a debt management program is right for you. Typically a credit counselor will evaluate your debt, your expenses and your budget. If you qualify (see not everyone qualifies) – The debt management company will negotiate an interest rate reduction for your participation in the program. Instead of paying multiple creditors, your accounts are consolidated into one monthly payment to the dent management company. The debt management company handles payments to all creditors, ensuring on time payments and provides summary statements back to you. Debt management programs typically run from 2-5 years. Those who qualify for a debt management program typically carry higher credit card balances. Student loans, tax obligations, and other types of debts are seldom included in a debt management program. Another instance when a debt management program may not be the best solution is when your troubled debt is less than 15-20% of your annual income. In that case, consulting a certified financial counselor along with budgeting classes is most likely a better road to take. A “must-do list” published by the FTC warns of counseling agencies that charge high fees, may allude that a debt management program is your only option and even deceiving and defrauding consumers. Organizations that are nonprofit, like National Association for Debt Education & Assistance, are required to employ certified financial counselors who are trained in consumer credit, money and debt management and budgeting. The FTC noted, “Those organizations that are nonprofit have a legal obligation to provide education and counseling.” You can find more information about credit counseling agencies as well as find nonprofit agencies through the Consumer Financial Protection Bureau. If you find that a debt management program is not something for you, or you do not qualify for a debt management program, there are a number of alternatives to consider. Can the debt be handled by yourself? Perhaps by negotiating with your creditors. Can the debt be handled with an isolation method? Such as the debt snowball or debt avalanche methods? Is your credit good enough to qualify for a loan at a lower average interest rate? A debt consolidation loan may be an option if it is. The upcoming storm of rising interest rates and increasing lender cautiousness makes life difficult for people with already bad credit ratings. In the coming year, you will have to tighten up and you will have to make a new start to get your credit rating back on track. Forget about the mistakes of the past and read our tips for how people with bad credit can survive the storm. Do you have a spending bug you can’t seem to beat? The worst thing you can do is to cancel your credit cards. Unbelievably, this is a sign of panic and lenders will kick your credit score in the pants for doing it. The alternative is to leave these lines of credit open, but cut up the card. That way you’ve effectively closed your account without hurting your credit score. Can You Kick a Debt Quick? The reason why so many people have bad credit is spiraling debt. They get into a situation where they have so many bills coming in they can’t pay them all off and they barely remember who they owe and how much they have to pay. Start the next year by hitting a debt right between the eyes. Get together a lump sum and pay off some debts in their entirety. This is a form of debt consolidation that will make it easier to rebuild your credit rating later on. It’s amazing how many borrowers won’t speak to the people who have leant them money. Nevertheless, this is a powerful tool in your resource. If you’re having problems paying your debts or rebuilding your credit rating, talk to these people. Tell them your difficulties. They’ll often work out a different agreement to help you make your repayments. They don’t care about anything except getting their money back, so any chance to make a formal arrangement will be grasped with both hands. This is the first step. We’re not saying that you need to stop taking out all loans. You need some lines of credit if you’re going to rebuild your score. However, what people need to understand is that in the future lenders are going to be more stringent than ever before. Every rejected application leaves a stain on your credit record; therefore, you should only apply for loans you’re practically guaranteed to receive. A good choice might be a company like Lindgren Financial where their focus is to help people find personal loans with bad credit. Interest rates will be higher but again your best bet is to not apply for loans. Someone with bad credit has the problem of not being able to easily get any new lines of credit. They need a higher rating. This is where “bad credit” credit cards come in. These are types of cards designed specifically for people with bad credit. As you can see, the upcoming debt storm isn’t a reason to panic. Keep a cool head and you should have no problems getting out of that pit of bad credit. When you have a great business idea that you are eager to move forward with, there will be many things to consider, such as getting estimates for various expenses, preparing initial operating budgets and making marketing plans to launch your business. However, before you can get your business up and running, you will need to money to fund your business. There are few options available to get your business idea off the ground. Many entrepreneurs find they have to self-fund their business at the start. This can be done through savings, leveraging personal assets or borrowing from friends and family. This proves to other potential investors that the business is viable, that you have some experience in running the business, but also that you have faith in the business and have put your money where your mouth is! Although borrowing from friends and family may seem like an easy option at first, you are risking your personal relationships if the business does not work out or the financial agreement is unclear. Approach this form of funding like you would any other form: produce a business plan, explain exactly what the money will be used for, what the investor can expect to get in return and when they can expect it. As well as putting investors at ease, it will also clarify your own goals and objectives. After the initial self-funding, many business owners will seek to develop and grow their business by seeking funding from outside sources. One popular option is to seek investors for your business. Investors may be silent partners who simply contribute cash in return for a percentage of profits, or they may be active partners who play a key role in the daily activities and business decisions. Some silent investors may remain in a partnership with you until they have received a certain return on their investment, or there may be some other exit strategy in place. You may know individuals who you can approach about partnering or investing with you, or if not, you can look online for information about potential investors who are looking for opportunities. Another option is to apply for a bank loan. There is a wide range available, and you can use an online calculator tool to determine which options are the most affordable for your budget. 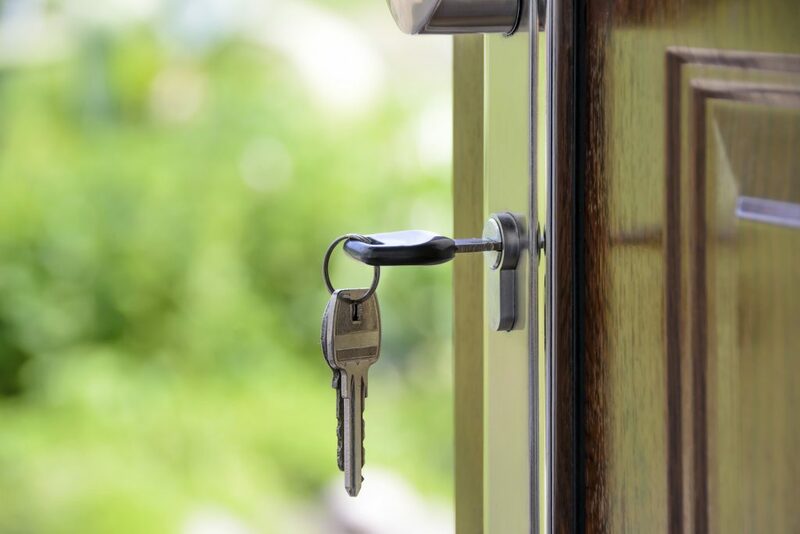 The right loan program will have attractive repayment terms and a great interest rate, but it also will provide you with all of the capital that you need to fund your operation until it begins to turn a profit. This could take several months or longer, so you may consider creating a budget that details expenses between and the projected breakeven point or beyond. Each funding path will have its own advantages and drawbacks, so ensure the one you choose fits in with your business needs and allows you to focus on the most important task – running a successful business. Debit or Credit: What Works For You? There are pros and cons of both credit and debit cards. Before you load your wallet with a series of credit cards, or request a debit card for each of your bank accounts, you should educate yourself on the pros and cons of each. Here is a list of strengths and weaknesses of debit and credit cards. Pros: Debit cards are a convenient way to carry the equivalent of cash. Debit cards link directly with your checking or savings account and each time you use it funds are deducted directly from the account that card is linked with. Whenever you make a purchase with your debit card you must enter a four-digit PIN, as a security procedure. The limit of your debit card is the same amount of money you have in the account. Debit cards are easily acquired, as banks take no risks when they provide these cards. You can only spend what you already have so there are no monthly payments. Cons: The cons of debit cards are few, but severe. If you spend more than what is directly in the account linked with the card you’re charged an overdraft fee. These fees can be anywhere between $30 to $50 for each transaction executed while there are no funds in your account. You must repay both the amount spent plus the overage fees. It’s a pricey consequence, especially if you’re unaware you’ve overdrafted and make more transactions with your card. Another danger of debit cards are the lack of security which surround them. Since your card is linked with your bank account, if someone steals your card they have instant access. The PIN you set up should provide some protection, though many debit cards can be run as credit, bypassing the use of a PIN altogether. Investigating this kind of fraud can take a lot of time and the longer you put off reporting it, the more liability you’ll face. Look into your bank’s fraud protection policy so you know the risks of debit card fraud. Pros: Credit cards provide you a line of credit, or loan, which you will be expected to pay in full within 30 days. You can put off pricey items until your next paycheck comes in. Build your credit score every time you make a payment on time. Your credit score directly influences the loans banks will offer you. This includes home and car loans. Credit cards aren’t your actual funds. If anyone steals your credit card, cancel it as quickly as possible. If the person has made purchases with it, you can claim fraud and fill out a claim. While this is a hassle, it’s also much easier to prove than with a debit card. Also, you may have noticed a small microchip on your newest credit card. This is an EMV. 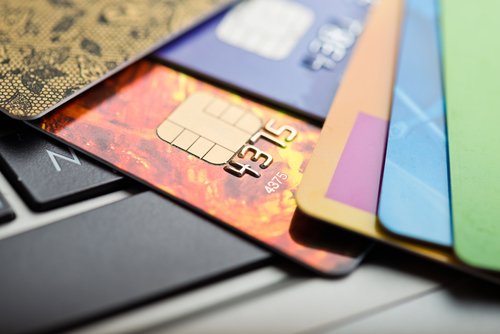 An EMV is a payment process like the magnetic strip on the back of the card. However, an EMV communicates a series of complex transactions which include cryptographic processes. This makes credit cards more secure, in many ways, than debit cards. Credit monitoring and identity theft prevention services are still helpful in case you’re account is compromised. Cons: While credit cards can help you build up your credit score, they can also destroy it. Some Americans are financially crippled by credit card debt. Many credit cards have variable interest rates which can be increased and make it difficult for you to make minimum payments. If your credit score is poor it’s very difficult to take out a loan for a house or car, even after you’ve paid off your debt.